Provide supervision for team leaders and base line cleaners to ensure smooth functionality of customer’s buildings. Maintain the company’s mission statement and enforce company policies and procedures along with supporting our customers with any concerns, requests, problems, and general customer service. If you are looking to join an organization that recognizes excellence and values the contributions of every individual, we want you on our team! 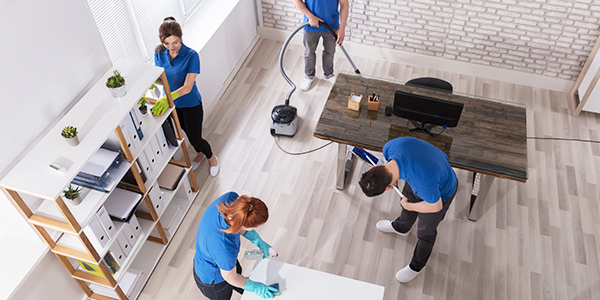 Our Supervisors' are responsible for overseeing the janitorial cleaning services provided in their assigned Territory. Position requires evening work hours and may be required to periodically work weekends. Partners with General Manager to build a team of key Janitorial Specialists capable of carrying out scope of contracts at each customer location. Train and supervisor Janitorial staff. Work directly with customer contacts to ensure satisfaction of services provided. Maintain mid/max levels of inventory of all cleaning supplies at each building. Point of contact and maintain building security and job related injuries. Managed daily, weekly and monthly budgeted hours for each account. Oversee proper safety materials & SDS sheets. Complete equipment maintenance of cleaning products and trouble shoot equipment failures. Perform cleaning duties at sites to cover for low staffing levels. Uphold company dress code, code of conduct, policies & procedures and safety rules. Train and evaluate janitorial team and complete evaluations in a timely manner. Document any infractions of company policy & partner with Human Resources. Identify and develop additional project leads. All other duties as assigned and developed. Previous experience as a Supervisor responsible for employees who work at multiple work locations. Valid Driver License and access to private transportation. Min. of 2 year degree but will consider experience in lieu of degree. Strong computer and mobile app. skills. Experience within a service related industry, Janitorial preferred. Compensation depends on experience. We offer a competitive salary along with health, dental, vision, 401k and paid time off. If you're ready for a challenge and meet the requirements above we want to hear from you.